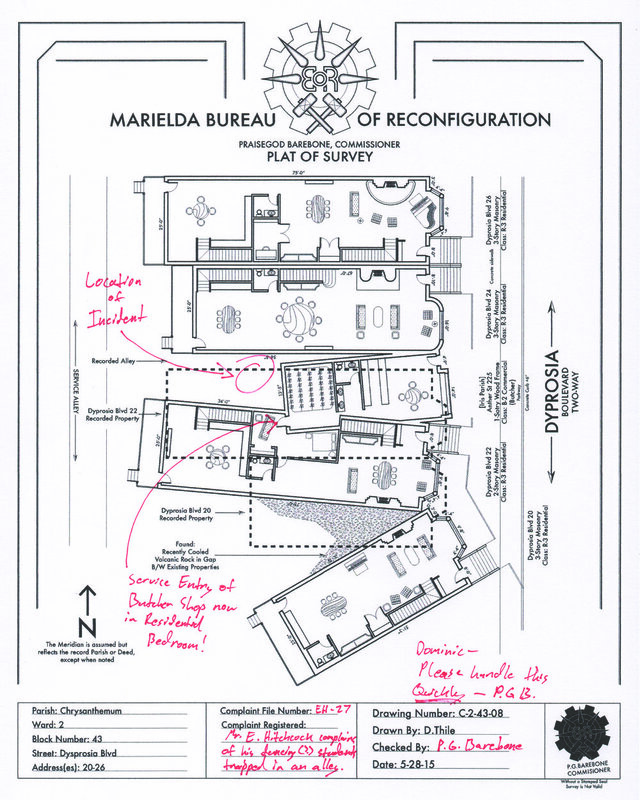 Plat of Survey from the Marielda Bureau of Reconfiguration, per complain number 27 from Mr. E. Hitchcock. Drawn by draftsman Dominic Thile, checked and stamped by Commissioner P.G. Barebone. For the Marielda Fanzine, based on the interlude season "Marielda" of the podcast Friends at the Table.